Well folks. Here is an invitation to my Retrospective 01 exhibition in TileStyle next wednesday. All are welcome. Admission is free and it should be a great night. 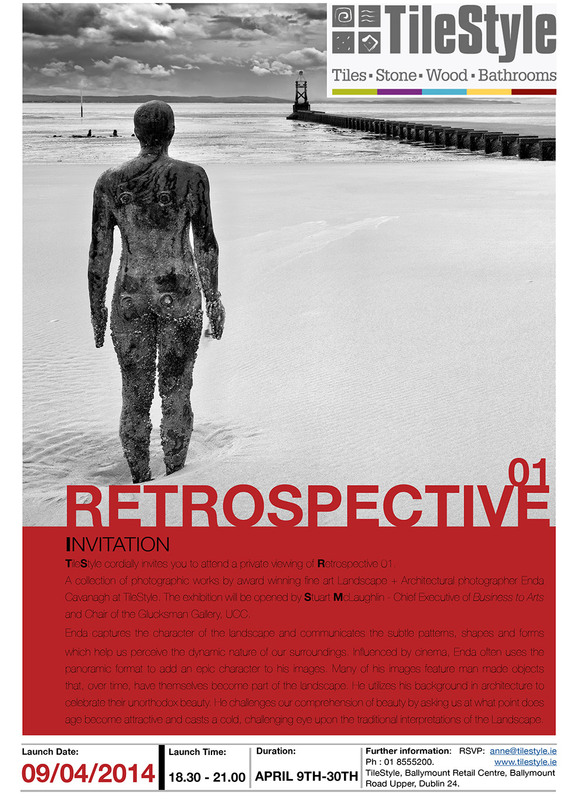 TileStyle will launch my photographic exhibition – Retrospective 01, from 6.30-9pm on Wednesday 9th April 2014. Retrospective 01 will be a collection of my favorite works going back over the years. There will be many of my landscape photos, both rural and urban, including photos from my Duality exhibition plus a number of new works from new projects which will be seen for the first time! !